How Are Alzheimer's & Dementia Different? Many people don’t understand the distinction between Alzheimer’s and dementia. While some believe the two terms are synonymous, dementia refers to several neurodegenerative disorders, while Alzheimer’s refers to a specific disorder. This can be a source of confusion for seniors and their caregivers. Keep reading to find out more about the important distinction between Alzheimer’s and dementia. Dementia is an umbrella term that refers to a set of symptoms. 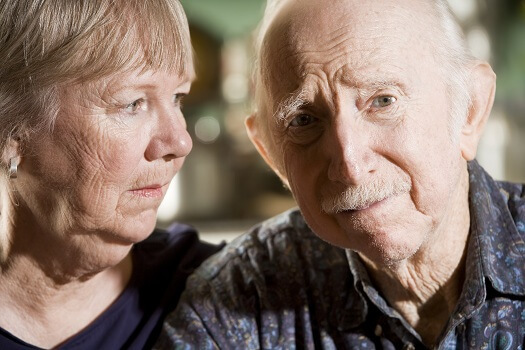 When a senior is diagnosed with dementia, he or she will likely exhibit some of the symptoms associated with the disease, including atrophied communication skills and an inability to perform daily tasks. Alzheimer’s is a form of dementia, and seniors with Alzheimer’s usually exhibit many of the same symptoms. When a senior has Alzheimer’s, it’s a result of a specific type of cognitive damage, which not all types of dementia share. If your elderly loved one is living with a serious medical condition and needs help managing the tasks of daily living, reach out to Home Care Assistance, a Montgomery home care agency you can trust. Our caregivers are available 24/7, there are no hidden fees in our contracts, and we offer a 100% satisfaction guarantee on all of our in-home care services. Alzheimer’s only targets certain areas of the brain. In the earlier stages, the disease attacks areas like the hippocampus and entorhinal cortex, which are responsible for memory and retention. As Alzheimer’s progresses, it starts to affect areas like the cerebral cortex, which oversees language use, behavior, and logical decision-making skills. The cerebral cortex damage is linked to protein plaques, which form in brains affected by Alzheimer’s. Alzheimer’s has a specific impact on the brain. While scientists are not yet sure why protein plaques form, they know these neural aberrations cause brain cell death. These plaques are formed when beta-amyloid, a protein found in healthy brains, starts to clump together. Beta-amyloid accumulates and eventually creates plaques and tangles, which wreak havoc on the brain. The plaques and tangles can cause harmful inflammation, swallow damaged cells, and block communication between synapses. As time goes on, these plaques and tangles continue to damage the most important areas of the brain. While seniors with Alzheimer’s will first exhibit mild symptoms like memory loss and disorientation, over time the symptoms will become more severe. Seniors in advanced stages of Alzheimer’s may not be able to recognize loved ones, understand conversations, or navigate space on their own. Caring for a senior loved one with Alzheimer’s can be challenging if managed alone. Families who find it difficult to care for their aging loved ones without assistance can benefit greatly from professional respite care. Montgomery, AL, family caregivers who need a break from their caregiving duties can turn to Home Care Assistance. Using our proprietary Balanced Care Method, our respite caregivers can encourage your loved one to eat well, exercise regularly, get plenty of mental and social stimulation, and focus on other lifestyle factors that promote longevity. Dementia is an umbrella term, rather than a specific diagnosis, which means there are many different types of dementia. Alzheimer’s is the most common diagnosis, but seniors may also be diagnosed with Creutzfeldt-Jakob disease, dementia with Lewy Bodies, frontotemporal dementia, Korsakoff syndrome, vascular dementia, and dementia from Parkinson’s disease. Seniors who have dementia caused by a disorder besides Alzheimer’s may be given a different treatment plan. Alzheimer’s is usually treated with a combination of antipsychotics, cholinesterase inhibitors, antidepressants, and alternative therapies. While some types of dementia may respond well to these treatment methods, others need entirely different methods. For example, Korsakoff syndrome is commonly caused by excessive alcohol consumption. Seniors diagnosed with this disease will likely be prescribed oral thiamine supplements and told to limit their alcohol consumption. If your senior loved one has been diagnosed with a serious condition and needs help with tasks like meal prep, transportation, bathing, and grooming, reach out to Home Care Assistance, a leading provider of home care Montgomery, AL, families can trust. We also offer comprehensive care for seniors with dementia, Alzheimer’s, and Parkinson’s. To learn more about our comprehensive elderly care plans, call us at (334) 593-3988 today. What Causes Some Aging Adults with Dementia to Fear Water?